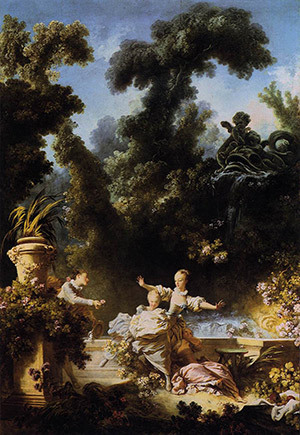 Some works of art have the power to trigger powerful emotions, so do fragrances. 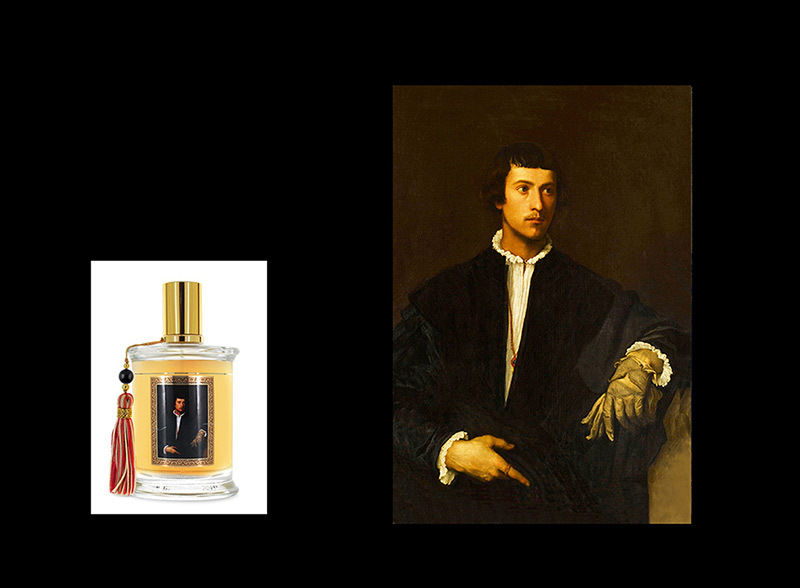 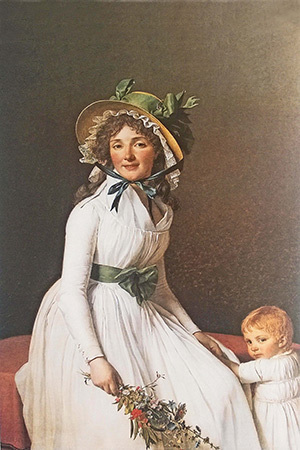 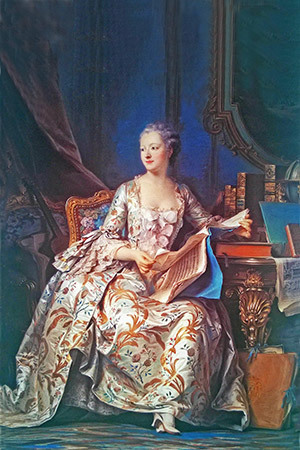 It was natural to wonder how artists such as perfumers would react to these masterpieces with their own sensitivity and talent. 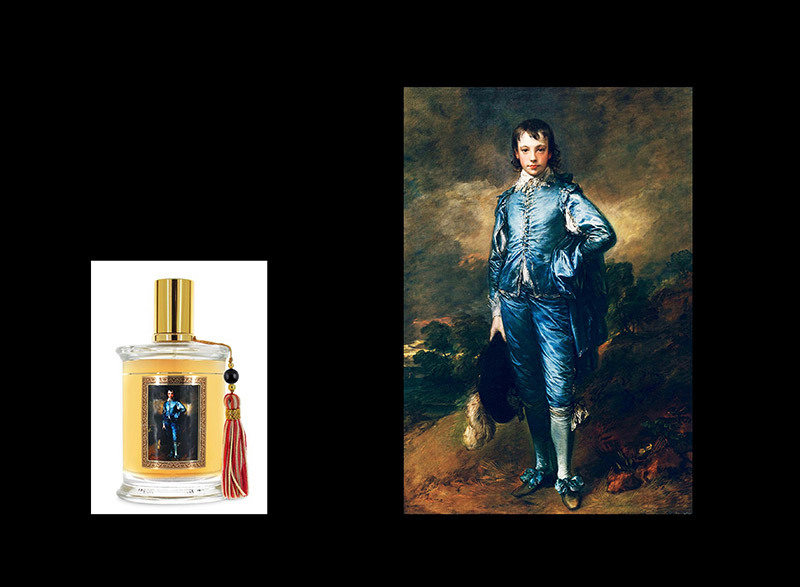 The brand has commissionned a group of trusted perfumers to create new fragrances inspired by painting masterpieces of the past. 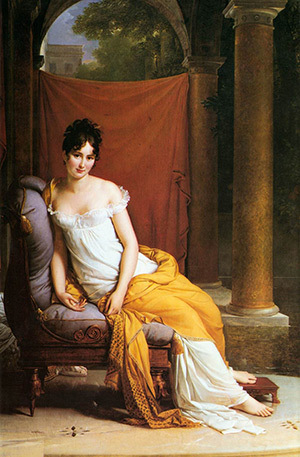 A serene and mesmerizing fragrance, a creation of perfumer Nathalie Feisthauer, inspired by the romantic figure of the model, a young and elegant Venitian captured in this stunning portrait by The Titian in 1523 in a moment of soul searching. 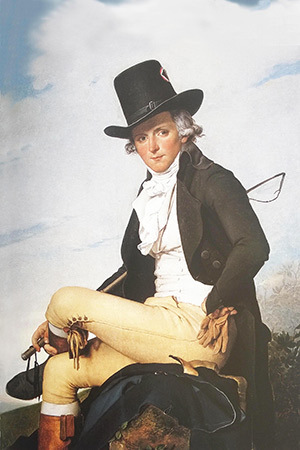 Here Cécile Zarokian has masterfully composed her own olfactive translation of Gainsborough’s famous « Blue boy »/ here the youthful and confident young man proudly stands at the center of the country scene on a stormy and windy english countryside. 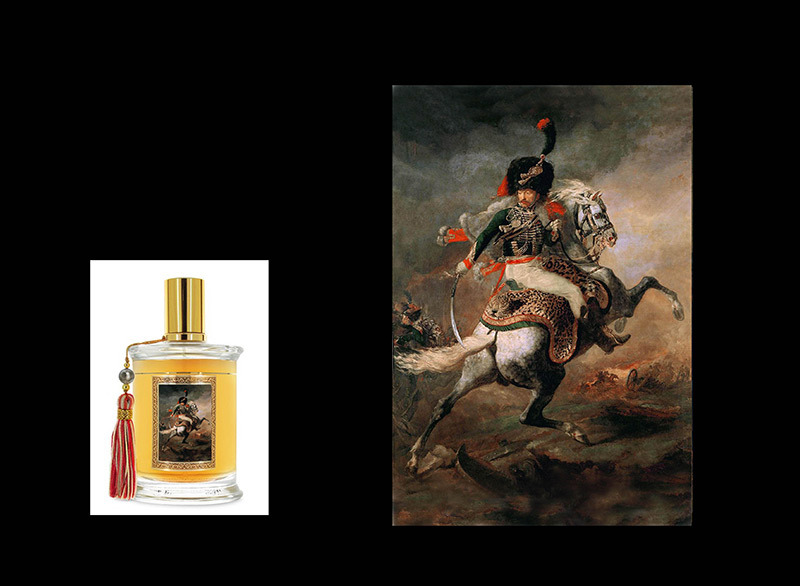 A stunning and bold fragrance that perfectly translates in scents the bright and dark colours, the sounds and tremors of this battle scene, in which Géricault’s charging horseman of the Imperial Guard exudes strength and confidence, captured pexpertly by perfumer Nathalie Feisthauer.